Happy Early St. Patricks Day! lol I started to buy Ulta Shamrock. DID YOU SEE MY LIST OF SALES ON MY BLOG?! Ulta has a huge sale, Julisa!! wow i love that look, so pretty! Hey i nominated u too! 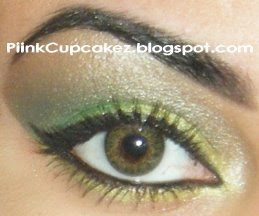 the color u used for the mid part of ur eyes remind of MAC swimming, which i have and never used LOL. but now I know how to use it... and I have Humid! sweet... thanks! your green look just gorgeous! 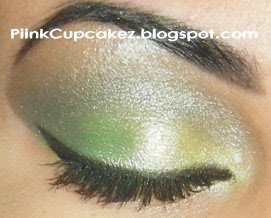 gorgeous makeup! the palette is soooo niceee.. i want!! thankss my lovely blogging ladiiz! I love this look it's perfect. All of your looks look like the kind of makeup you'd see in magazines. 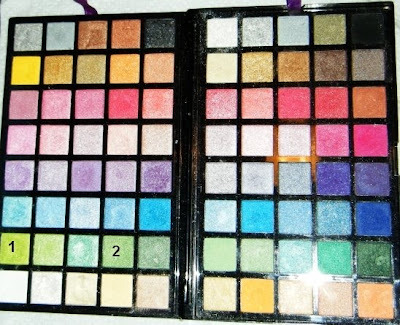 i have like 5 multi color palettes but everytime you use yours i want to get it! Love it! Green is my favorite e/s. Thanks lil Diva! Just stopping by to show much ♥!! WOAH, this looks so great! Also, I totally love your brows shape! I wish mine would be as perfect as yours. OMG FRIGGIN GOD! i cnt believe u was following me alllll this time...and i wasnt followin urs!!!! :|!!! !